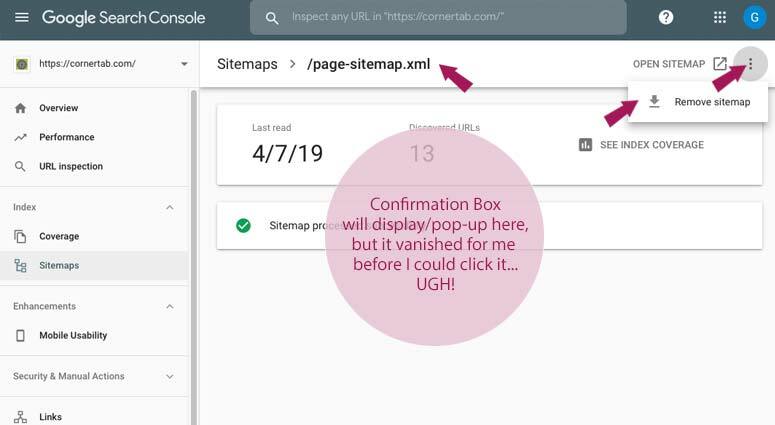 I ran across a strange issue today concerning Google Search Console’s sitemap removal process. As any web developer that dabbles in search engine optimization would know, Google encourages all websites to have a secure connection via a SSL certificate. They even lower your ranking if your site doesn’t have it. On occasion, I still run across some sites that need to be secured and today was one of those days. After installing the certificate, forcing SSL and the https protocol, I fixed a few mixed content errors and was ready for the final step of the process. I needed to configure Google Analytics and Search Console to recognize the new https URL. However, this article is not meant to focus on the step by step process involved with performing this service, there are quite a few Youtube videos and blog articles out there for that, but rather it is to focus on a particular, bizarre issue I ran across. After securing a site with SSL, it’s good practice to let Google know by creating a new property for the https URL within Search Console. Once you have added the new property you also assign and submit a revised sitemap for it in order to index all of your pages and posts with the new protocol. 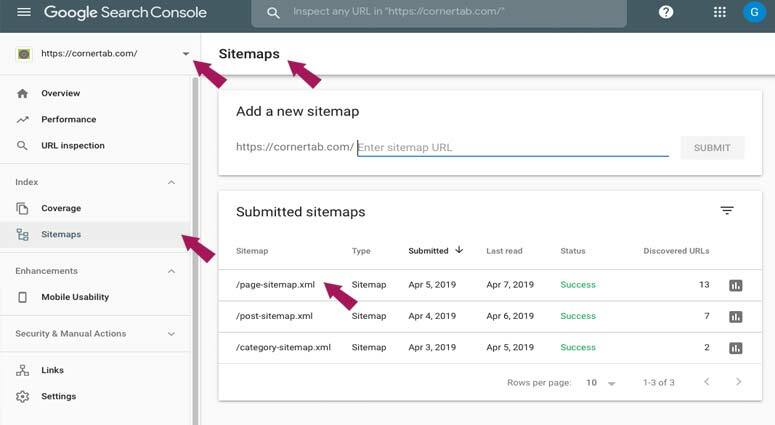 Secondly, it is common that you delete any old sitemap assigned and submitted previously with the old http properties. That’s where the little quirk emerged. And the next step, for me, was choice words and utter frustration… the madness began! Once I clicked the “Remove Sitemap” command in the dropdown, a simple box meant to confirm removal, pops up for you to finalize the process. The intent is to confirm with a click and the sitemap is gone. But for me, the box only displayed for a split second before immediately disappearing! I attempted this final step multiple times. On every browser I had. On my PC and Mac, and the behavior was the same. The confirm box kept vanishing before I could click it. Thus the sitemap wouldn’t go bye-bye. I was at a loss. Bum-puzzled. Wacked out! I even located a couple of 800 numbers and attempted to call Google about their little interface bumble, obviously delusional at the thought I would actually get live support. But I was out of options… so I thought. Wobbly with anger, I stared down at my iPhone 8 Plus lying on my desk. It was worth a shot. I picked up the iPhone, fired up mobile Safari and logged into Google Search Console to do battle with the vanishing box once more. I went through the process as listed above. The box appeared, then disappeared, appeared, then disappeared, but I was catching on. That box and sitemap was going down! I positioned my right thumb over the drop down and my left thumb directly over where the confirmation box’s button would appear. After a few practice runs to get my timing right, I pressed the button at just the right moment as it appeared and initiated it! Finally, the sitemap was removed! Certainly not the most technical of solutions, but until Google realizes the blunder, I figured why not write up a quick post and tout my victory. Perhaps you or another poor developer out there has happened across the same issue. And if this article helps, then great! Just a little hand-eye coordination with any touch screen should do. I doubt the type of device matters at all. And that old sitemap will be toast! Contact us for a free consultation on the creative branding services you need. Every company is unique. Let us create branding that fits your style of business.